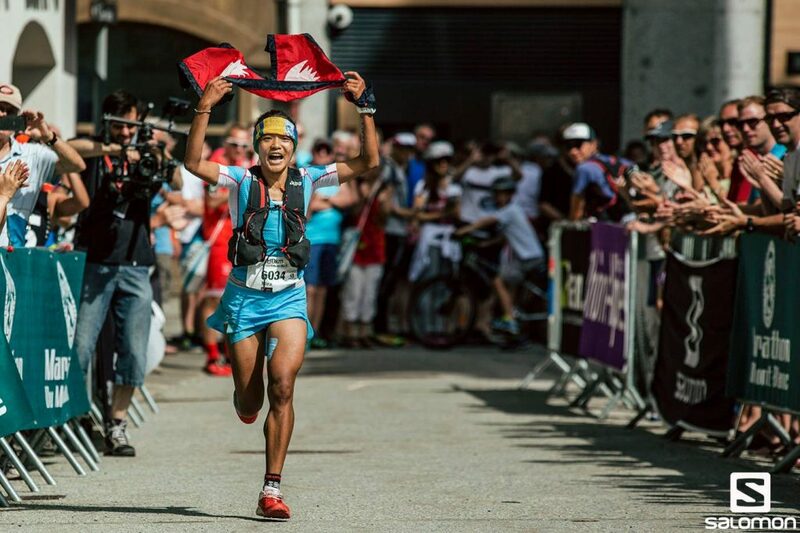 Mira Rai is a trail runner from Nepal specialising in ultra distance mountain races. She is part of the Salomon Trail Running Team. Read more about Mira on the site for her short visual biography film: www.miraraifilm.com. 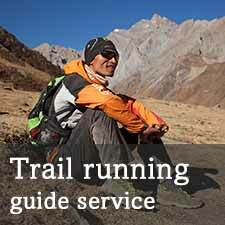 This page was written in April 2014 when a small fund was set up to support female runners after meeting Mira who, completely unprepared, ran and won a hard 50km trail race. Mira was then written about here. She wanted to run and be successful. Before she was focusing on track events, but we persuaded her to try trail running, and she has not looked back. Many people donated to a Women’s/Girls’ Running Fund to help that happen. After her first trail race, she went on to win the Mustang Trail Race in April 2014. There she met Tite Togni, and after some months, a plan was made to send Mira to Italy. There she won two races, and you can see the rest of her running CV below. Below too you can find links to interviews in the media. This immediately below is an early interview with Mira, before leaving for Italy. Photos from various sources. Please contact the photographers for permission to use. For HK images: lloyd@lloydbelchervisuals.com, for Salomon images: jordi@saragossa.cat. 2014 images from italy courtesy of http://www.pegasomedia.it/. For all others, please contact via this site. Slate.com, USA (Oct 8th, 2015) - Meet Mira Rai 2.1k 4 Nepal’s first female sports star is a trailblazing global hero.